The CMA CGM JEAN MERMOZ, sister vessel of the CMA CGM ANTOINE DE SAINT EXUPERY, is today (July 4, 2018) operating at TTI Algeciras. 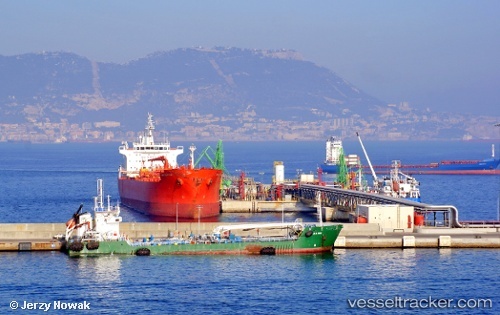 This is the continuation of a generation of mega vessels that are currently the largest calling Spanish ports and have chosen the Port of Algeciras as its only port of call in our country. The CMA CGM JEAN MERMOZ, which arrives at the Port of Algeciras from Singapore, is making its maiden voyage within the FAL1 service (French Asia Line 1), an emblematic route of CMA CGM between Asia and Northern Europe which is also part of the services offered by The Ocean Alliance. Companies interested may submit bids for a public terminal or a dedicated terminal on Isla Verde Exterior. The licensing term shall be 50 years. The area, 30.5 Hectares (37 Hectares including public zone), located in the southern part of Isla Verde Exterior next to the intermodal freight railway terminal, has a quay’s 680-metres berthline, to be extended by a further 130 m in order to reach a total quayline of 810 metres with a 18.5-metre deep draft. which shall include automated solutions. Bids, which shall include automated solutions, can be submitted until 31st january 2018 The 2 container terminals currently operating at the Port of Algeciras handled in 2016 a 4.8 million TEUs joint throughput, an increase of 5% over the previous year.